In August 2013, Davao City will once again be on the center stage as it holds the annual Kadayawan Festival. Also known as the King of Festivals, Kadayawan celebrates Davao's rich culture, diverse people and bountiful harvest. We invite you to join us this year and visit Davao to experience Mindanao's biggest festival. We have come up with a checklist to help you better plan for your visit and to make sure that you enjoy your stay in Davao during the festival. 1. Schedule: When are the highlights of Kadayawan 2013 happening? August 17, 2013 (Saturday) Indak-Indak sa Kadalanan is a street dance competition taking place at the city center's major streets with a grand showdown happening at the Rizal Park. August 18, 2013 (Sunday) Pamulak Kadayawan is a float parade showcasing Davao's flowers and fruits artistically arranged into decorative floats. 2. Transportation: How to get to Davao City? If you are coming from Mindanao, a network of buses connects Davao City to major cities and towns. 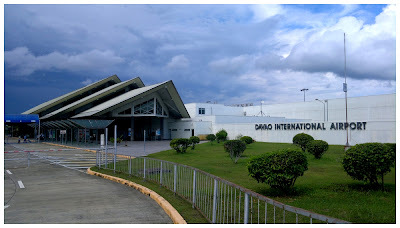 There are also flights connecting Davao City to Zamboanga City, Cagayan de Oro City, Dipolog City and Butuan City. 3. Accommodation: Where to stay in Davao City? There are more than a hunded hotels, bed & breakfasts, and inns in Davao City that match everyone's taste and budget. The key to securing an accommodation is to book early. Hotels can easily get fullybooked as Kadayawan gets closer and closer. 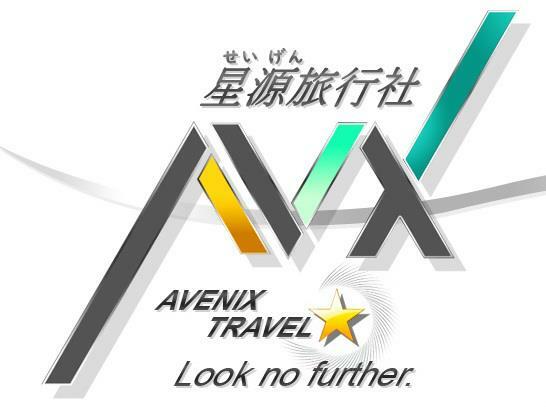 Many thanks to Avenix Travel for sponsoring our accommodation in Davao during the festival weekend. 4. Clothes: What to wear during Kadayawan? When watching festivals, expect that you will be standing under the sun for extended hours. Wear light clothes and avoid dark colored shirts. For added protection, you can also wear a cap. Don't forget to drink lots of water to avoid dehydration and apply sunblock to prevent skin damage. 5. 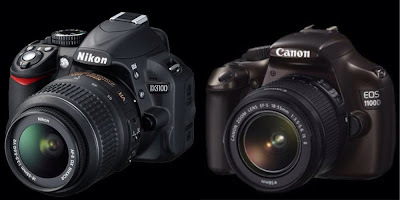 Gadgets: Which gadgets to bring for Kadayawan? To capture every moment of the festival, we recommend a compact smartphone with high resolution camera. 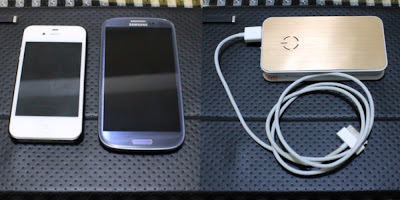 We have personally tested the iPhone 4s and Samsung Galaxy SIII to be reliable cameraphones that can take sharp images good enough for sharing and even posting on our travel blog. To extend the life of your phone, we also recommend that you invest on a power bank, a portable charger that comes in very handy when you are outdoors. CD-R King's power banks cost between P700-P1,500 depending on their charge capacity. Festival is also a great opportunity to practice and hone your photography skills. Don't be intimidated by photographers carrying their fancy cameras and monster lenses. The camera is just as good as the photographer, and a good photographer can always take good photos with what is available. 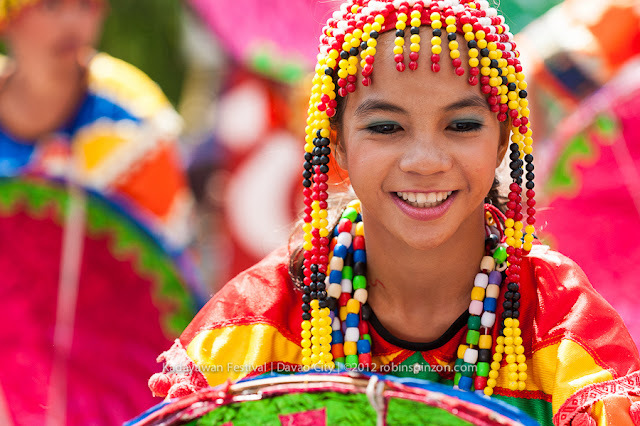 Here are some photos from last year's Kadayawan Festival shared by the premier Kapampangan photographer, Rob Pinzon on his photoblog www.robinspinzon.com. Many thanks to Rob for allowin us to share his Kadayawan photos on this blogpost. 6. Mobile Apps: Which mobile applications to download for Kadayawan? We are sharing with you three of our favorite mobile applications that we find very useful for travel. All three applications are available for both iOS and Android. Google Maps - Having a mobile map on your phone is very handy whenever you travel to a new city. The Google Maps app allows you to search places using keywords and get directions on how to reach a certain location. Note however that this application requires an active data service on your phone as map images and data are downloaded online. The Google Maps app works perfectly when navigating through streets. However, Google Maps is quite a poor tool for locating specific establishments with a reliability rating of about 50%. Foodspotting - Food is always part of our itinerary whenever we travel, because it is with the local food that we get to learn about the local culture. 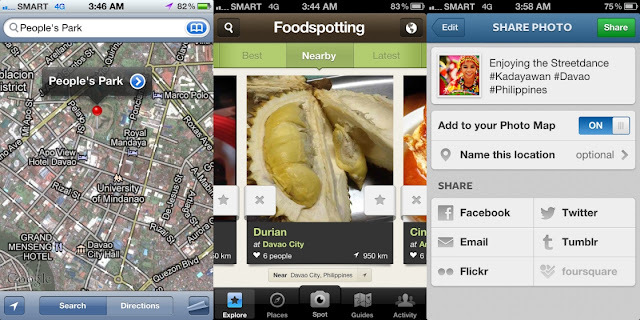 Foodspotting is a cool application that allows you to browse through images of dishes served by restaurants on your current location. The app focuses on the dish and not on the restaurant, thus answers to the question "what to eat" than "where to eat". The app also allows you to post images of what's on your plate, which you can also set to instantly share on Facebook and Twitter. Instagram - This mobile application allows you to instantly share photos with other Instagram users, and on Facebook or Twitter as well. Easily update your social network with snapshots of where you are, of what's happening, of what you're eating, or anything under sun you think is worth sharing online. We hope that you find this checklist useful and we are looking forward to meeting you in Davao this August. hi confirmed na po ba ang aug 17-18? d po ba 24-25?